Chinese internet giant Tencent and Publicis Groupe have signed a strategic global partnership, which is the first-of-its-kind collaboration across a global advertising group and all 11 products of the Chinese company. This agreement will cement the two groups’ relationship at a global level whilst offering clients a unique borderless approach built on three pillars, with a mission to breed innovations beneficial to both marketers and consumers. 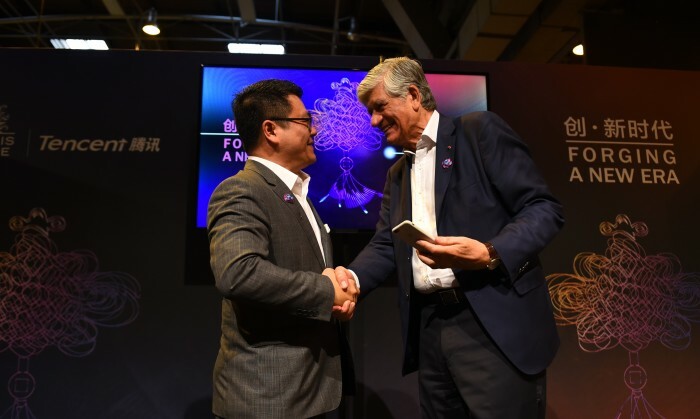 Through this partnership, Publicis Groupe and Tencent will launch a “Drugstore” incubation facility, to curate, invest in and cultivate the start-ups of the future. This will provide breakthrough offerings to clients in data and ad tech as well as across new VR and AR enabled platforms. Through its connected strategy, Tencent will offer Publicis Groupe access to its vast and rich online behavioral data, benefiting clients through improved programmatic offerings, cross-screen planning capabilities and conversion performance. The two companies will partner on the co-creation and co-investment of web native content to drive unique content opportunities and new content models for key clients. “China continues to lead the world in advertising growth especially in digital and mobile and we increasingly see new ideas and technology that leapfrog the West,” said Maurice Lévy, Publicis Groupe chairman & CEO. “This bold new partnership with Publicis Groupe, the first of its kind across all of our assets, that will lead the global trends and deliver new ways to meet the needs of our clients and business partners,” said SY Lau, senior executive vice president of Tencent and president of Online Media Group. This year’s initiative is aimed to go beyond drawing awareness to the cause. Read more here. ..
FM, an audio app that has one of China's largest collection of audio recordings for mobile, is Ford's latest addition to its SYNC ..